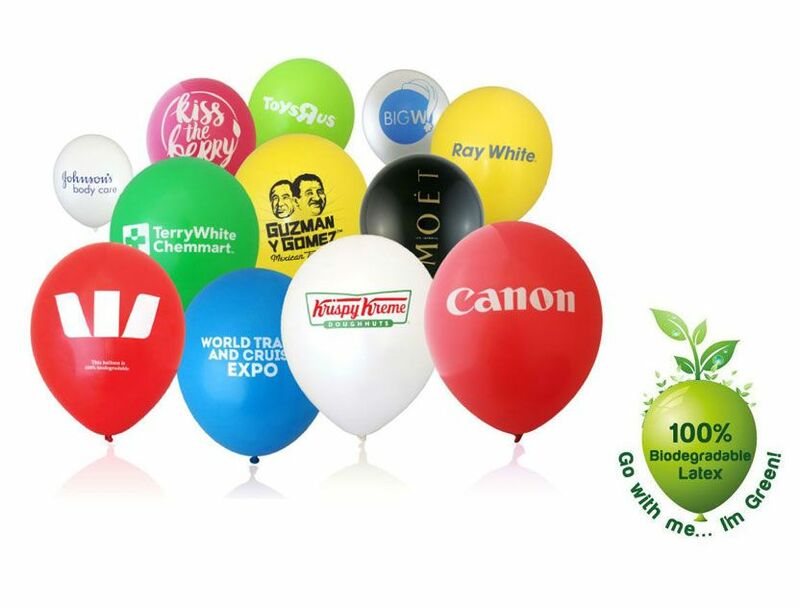 The perfect tool for spreading your message - we can print your logo, invitation, promotion or birthday balloons. We have the largest print area, fast turn around and we have been doing this for 30 years. 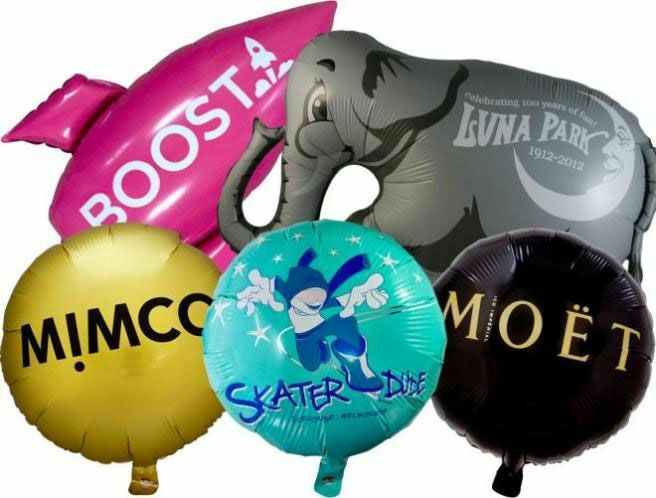 Browse our off-the-shelf, ready-to-go, helium quality latex balloons for a wide range of themes and events. Very affordable, small quantity packs. 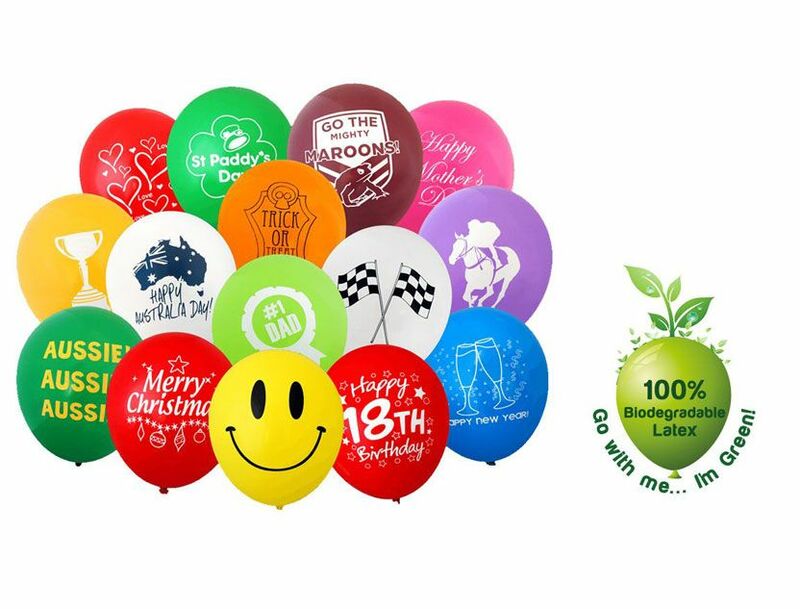 These are all 100% biodegradable latex balloons you can fill with either air or helium in ready to go packs for your convience. 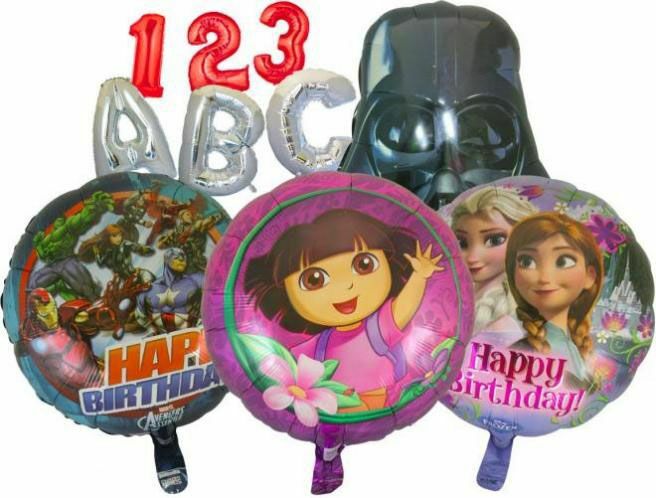 Premier quality, helium grade balloons latex balloons in a wide range of sizes, finishes and colours. Massive colour range. Standard, Crystal, and Metallic finishes to choose from ready to light up your next event. You can fill these latex balloons with either air or helium. 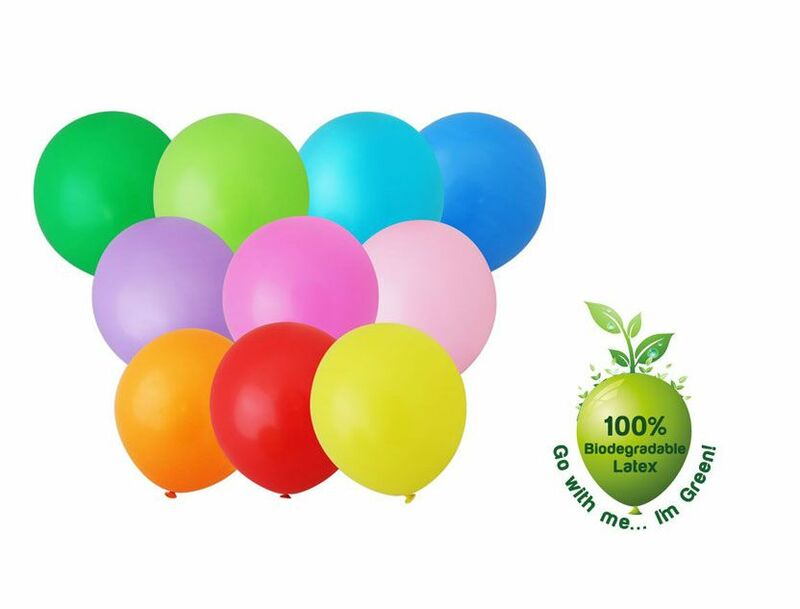 All our balloons are 100% biodegradable latex balloons. Choose from a wide variety of licensed foils, numbers, letters, standard shapes. Avengers, Star Wars, Batman, Dora, and many more. 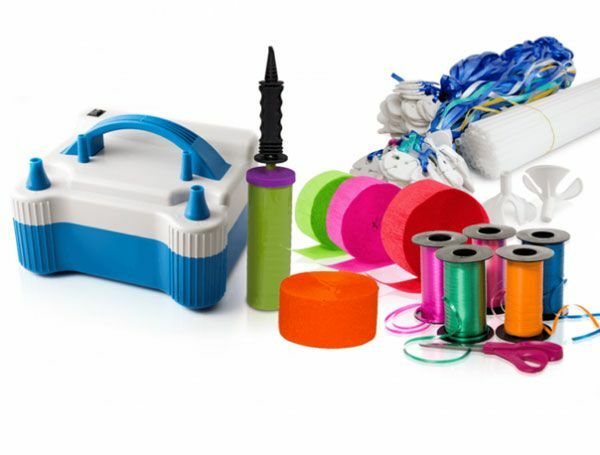 Select from a wide range of quality accessories to complement your balloons. Ribbons and clips, sticks and cups, balloon inflators, disposable helium gas cylinders. We’ll print your design onto premium helium quality foil balloons. Minimum order qty of just 100. Full colour print options in various shapes, colours, and sizes.